Isn't this rabbit sweet? I made it from a kit from this website. Normally I avoid kits, but I wasn't confident of being able to ge tthe exactly right thickness of felt for this. 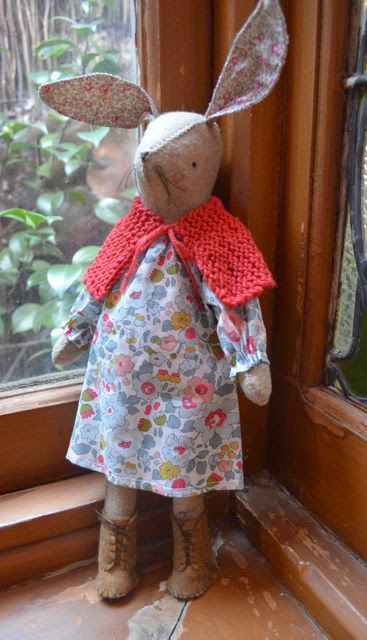 The kit included a generous allowance of felt (enough boot felt to make a second pair) all the threads, liberty prints, yarn for the capelet and even elastic for the gathers in the dress. 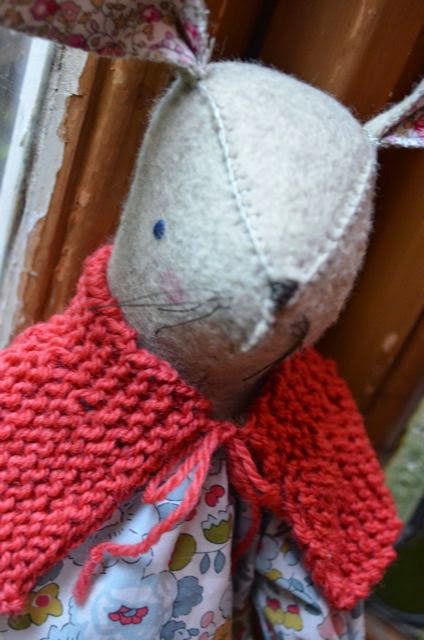 It was an excellent, easy to follow pattern, with very handy details (use starch to make the whiskers stiffer, dab a bit of ink from a stamp pad on to make the cheeks) and was a joy to sew up. 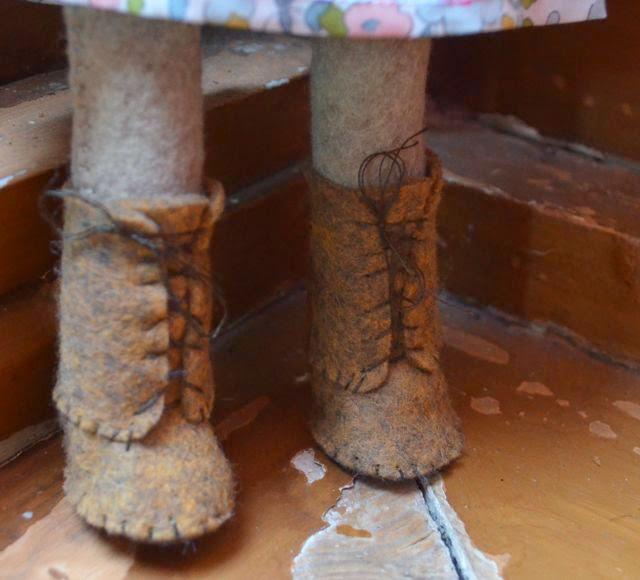 The entire body and boots are handsewn and all up, including cutting out the pattern and knitting the little capelet, it took four evenings to finish. I also bought the patterns for a knitted dress and cardigan, but haven't knitted them yet, as I don't have a set of 3.75mm circular needles. It is one thing I find a bit frustrating about knitting - that there are so many needles that are required and the set I need invariably seems to be the set I don't have. I suppose the true knitter just gets everything - straight, dpns and circular needles in every size. I guess it would still be significantly less of an outlay than my sewing machine. While I was stitching the bunny, I wondered how she'd look in linen. The pattern obviously doesn't have a seam allowance, as all the stitching is external, so I added a quarter inch seam allowance and whipped this one up on the sewing machine last night. I haven't made the boots and dress yet, but I was pleased with how she came together. Linen must have more give than felt, as the head after stuffing looks quite a bit bigger than the felt head. 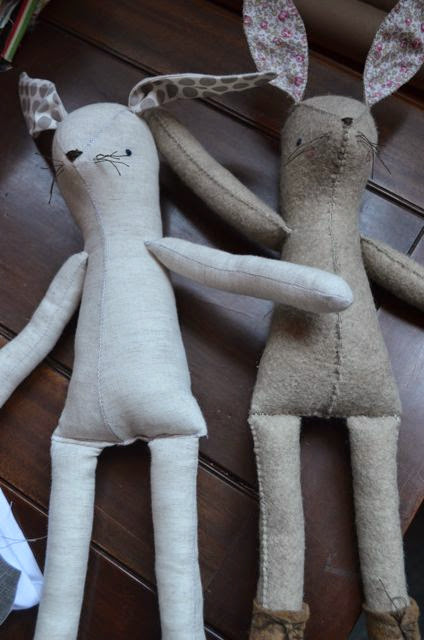 I can feel a batch of bunnies coming on, they are so pleasing to make. Julie she's beautiful. 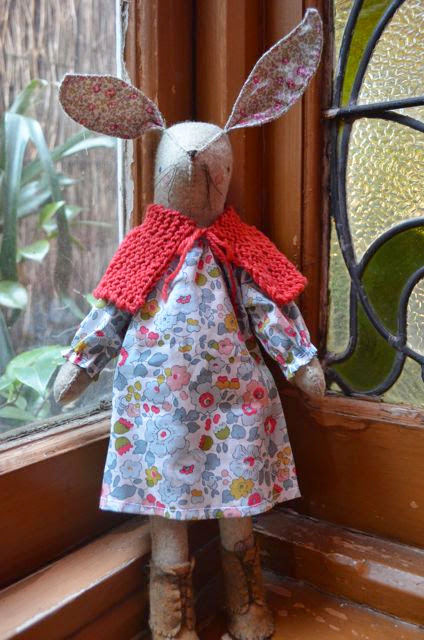 I have a Maggie Rabbit kit waiting for me to put together. I figure if I start now I'll have it finished at Christmas time, for my little girl (in between all the nappy changes, feeding, settling etc ; ) . Alicia makes beautiful things. I love that you tried it in linen. Very special. Hi Chontelle, it would make a lovely Christmas present for sure and it is the sort of thing you can do in small bursts.